Romo Chiropractic treat many pregnant women not only for common low back pain associated with pregnancy, but for other pregnancy symptoms such as heartburn, nausea, and swelling due to water retention or joint stress. 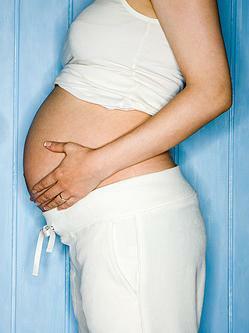 A healthy pregnancy is crucial for both mother and baby. And although regular chiropractic care during pregnancy is very important, there are many other influences that can affect a woman's health during her pregnancy. Some of these influences are well-known, but others are not. In fact, I just ran across a new study released in the journal Environmental Health Perspectives that discusses the effects of high levels of common flame-retardant chemicals on the thyroid hormone levels in pregnant women. It is the first large study to investigate levels of polybrominated diphenyl ethers (PBDEs) and their effects on the highly sensitive thyroid hormone in pregnant women. "Normal maternal thyroid hormone levels are essential for normal fetal growth and brain development," stated Jonathan Chevrier, one of the study's authors and a researcher in epidemiology and in environmental health sciences at UC Berkeley, "so our findings could have significant public health implications." Where are PBDEs found? Just about everywhere, such as in carpets, textiles, foam furnishings, electronics and plastics. PBDEs can leach out into the environment and accumulate in human fat cells. Is it any wonder then that PBDEs can be found in the blood of most American residents? And, if you live in California the situation is even more criticaul because of the state's rigorous flammability laws. Concentrations of the chemicals in blood and breast milk have increased dramatically in the last three decades. Though it is not currently known just how the chemicals interfere with thyroid function, researchers believe that PBDEs could bind to thyroid receptors and alter how the hormone is released. The bottom line, however, is that these chemicals are dangerous, especially for pregnant women. "Our results suggest that exposure to PBDE flame retardants may have unanticipated human health risks," said Brenda Eskenazi, a professor of epidemiology and of maternal and child health at UC Berkeley.